Fresh from her big victory in Alberta’s Gay-Straight Alliances debate, Edmonton-Centre Liberal MLA Laurie Blakeman announced this morning that she has accepted the nominations to be a candidate for the Liberal Party, Alberta Party AND Green Party in the upcoming provincial election. With these three nominations, she hopes to unite the progressive vote in the downtown Edmonton constituency she has represented since 1997. It is an unusual and out-of-the-box move, but what does it mean? The goal is to prevent vote splitting between parties that agree on most issues and by uniting around one candidate there are not three candidates drawing votes away from each other in Edmonton-Centre. Practically speaking, the triple-nomination will not bring many increased resources to Ms. Blakeman’s re-election campaign, because both the Alberta Party and Green Party have negligible organization and funds in the constituency. And while the three parties have nominated her as their candidate, it is expected that only one party will be allowed to appear beside her name on the voting ballot. It is an important symbolic move. When Raj Sherman resigned as Liberal leader in January 2015, Ms. Blakeman stood for interim leader and brought forward a plan to cooperate with the other opposition parties. 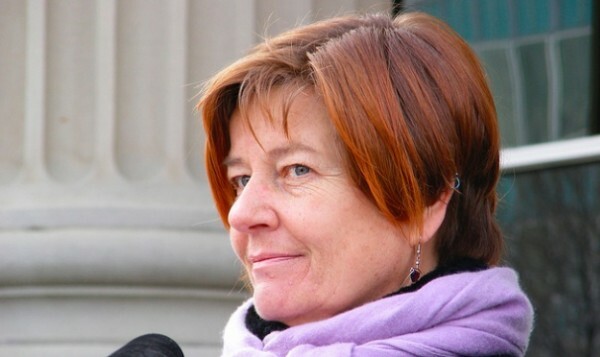 She was rebuked by the Liberal Party executive, who chose former leader David Swann instead and rejected a cooperation proposal from the Alberta Party. Ms. Blakeman is breaking from the current Liberal Party executive, who, despite their party being on the brink of complete electoral annihilation, appear to have done everything in their power to prevent cooperation between the smaller parties before the next election. This is not the first time a Liberal MLA has broken with their party on this issue. In December 2012, Calgary-Buffalo MLA Kent Hehr published a guest post on this blog arguing for the need for progressive opposition parties to cooperate. And former Liberal MLA Dave Taylor became the first Alberta Party MLA in 2011. Some political watchers may ask why Ms. Blakeman, a centre-leftish Liberal, would not simply join the New Democratic Party, which appears to have momentum in Edmonton. In terms of uniting the centrist parties, the NDP have consistently made clear they are not interested in cooperation. But not recruiting Ms. Blakeman into their party may have been a big missed opportunity for the NDP in Edmonton. As as one of only two Liberal MLAs running for re-election, she will now have to wait to see how her own party executive reacts. While there will certainly be those in the party who are irritate with her triple-nomination, there is little doubt that many progressive-minded Albertans would sympathize or agree with her decision. The triple-nomination proves that, despite the protests of their more orthodox members, it is possible for Alberta’s tiny opposition parties to cooperate. And as a popular and outspoken MLA, Ms. Blakeman is undoubtably looking past this year’s election with a mind of uniting the tiny parties into a viable centrist opposition. We are pleased to announce that Edmonton-Centre MLA Laurie Blakeman will be our special guest on the next ‪Alberta Election Google Hangout. Tune in to http://abvote.ca at 7pm on Monday, March 16 to watch the hangout. Tweet your questions and feedback using the #abvote hashtag. This entry was posted in Alberta Politics and tagged Alberta Party, David Swann, Edmonton-Centre, Green Party, Kent Hehr, Laurie Blakeman, Liberal Party, Raj Sherman on March 13, 2015 by Dave Cournoyer. If only the three parties can quickly–and the operative word here is “quickly”– come to similar agreements in other critical ridings. Green leader Janet Keeping has encouraged cooperation as, in the past, has David Swann (and the majority of his Liberal party in a vote held a few years back, for that matter). We need Greg Clark and his party members to see the light on this issue, which I am hoping they will. But timing is everything, so I hope there’s a plan in place and that it’s unveiled rather soon. maybe the NDP didn’t ask her because they know she is a loose cannon who will not take instruction – like the AB Liberals are discovering now? This coalition of like minded organisations must act quickly to unite otherwise , the citizens of Alberta are going receive the awesome gift of Austerity. I wish this endeavor Gods Speed. However I have reservations on the willingness of all opposition party leaders to Coalesce in a civil and compromising manner to Avoid the appeal of Peter Eric Prentice the one card that has yet to be identified in a deck filled with jokers. Which one eyed Jack is Jim Prentice ? Like anything else in politics, if it works, you’ll see it done more next time. If it doesn’t work, or works against the objectives of the proponents, this is the last you’ll see of it. This is an interesting and bold move by Laurie Blakeman to get attention for a multi-party coalition. Lets hope that it gets the media attention it deserves. Now is the time for parties to cooperate. The Conservatives are weakening in popularity. Cooperation is a complicated issue but it can be dealt with if the parties really care about upgrading Alberta’s democracy as a service to the people. The Conservatives obtained a false majority in the last election with only 43.97% of the vote. This did not mirror the will of the people. This is not what a true representative democracy looks like either contrary to what some politicians suggest. If the opposition parties are serious about real representative democracy, they will get together and push for proportional representation so that Albertans can have an upgraded democracy. This would help bring the voters to them. This would be a great service to all Albertans in order to get the mother of all democracy upgrades moving along. Early in this century, the Liberals asked me to step aside in an election when I was planning on running against Ralph Klein so that their star candidate would have a better chance. I did so cooperatively and ran in Calgary Glenmore instead because I saw the possibilities. It is time for the Liberals and NDP to visit such cooperation again and cooperate on pushing through proportional representation and other important democracy upgrade policies such as participatory democracy where people make decisions not just politicians. to learn how Albertans can participate in the budgeting process, like what occurs in other governmental jurisdictions. Budgets should not be left up to the Premier or Prime Minister alone anymore. As an Alberta Party Founder I am encouraged by what Laurie Blakeman has announced today. The Alberta Party has been very public about working together with other parties but other parties have not been interested until now. There are still lots of questions and some confusion on how one candidate can represent three parties but I have faith the parties executives will get it right. Bigger question now is how does the two parties treat each other in ridings that already have Liberal and Alberta Party candidates? If people who are more like-minded than not on 4 or 5 major issues can’t work together, how can we–or the voters–EVER expect them to negotiate and work maturely and govern the province? This is what the right wing sees and laughs at: Buffoons (and perhaps paid corruptors) on the centre-left who won’t unite for one hour or one day, let alone a 5-year rule. Open-minded thinking about the election is called for here on a grand scale. Or should we, as you are suggesting, let the deadly combination of overly optimistic, inexperienced young whipper-snapper/egotistical old codger back-room boys continue with their MYOPIC, unceasing, pie-in-the-sky, go-it-alone party strategies leading to, yet once again, another dismal voting night failure? Well actually the NDP have attempted to recruit Laurie several times and each time Laurie rejected it. Why? Who knows? And as an NDP supporter and member i am not opposed to the idea of a merger. However asking for one now is way too late in the game. At this point the NDP is a better choice than the other progressive parties simply because they’re the only ones that will be running a full slate, has more members and far far more money than the Liberals and Alberta party combined. Just vote NDP in the upcoming election, if there are even any Liberal or AP MLA’s elected (which i doubt will happen) then afterwards we can talk of a merger. What a joke. You can only run for one party. Too bad she’s going to lose anyways. Laurie is trying to maximize her leverage for a post-election landscape where she might end up as the only Alberta Liberal elected. This move makes the most sense in that context because she becomes the de facto head of the party if she wins and Swann does not (which might happen, her seat is safer than his). But for this move to really work the AB party actually has to win a seat so she could then merge with something rather than nothing. Whatever happens I give her credit for trying. This is so courageous of Laurie Blakeman. I wish her all the luck and support in this step to unite the non-PC votes of the province and to end the single-party rule by small minded, short-sighted, and corrupt neocons. Liam’s logic is faulty. The NDP may have more members than the Liberals–they have about 3700, if the recent leadership contest is an accurate reflection of membership–but those members are concentrated in a few Edmonton constituencies. All of these parties are small and poorly funded. None of them can afford to run a vigorous campaign in more than a fraction of the 87 seats. They won’t; each party will put its resources in a small number of seats. ChangeAlberta.ca, which had a 93 percent accuracy in its predictions of which progressive party would lead in 42 ridings, will be “handicapping” the candidates once again in 2015. The real story, I think that makes sense is that she may not have enough votes to win as a Liberal in her riding. About the long winded story to explain all this away as some fictitious way to unite the progressive vote, is really I think a creatively concocted way to keep her riding by eliminating the competition by running one member under 3 parties. It appears AP and Greens are dim bulbs. Nds are on a fake euphoric high that wont last much longer than after the election, just watch them get busted back down. 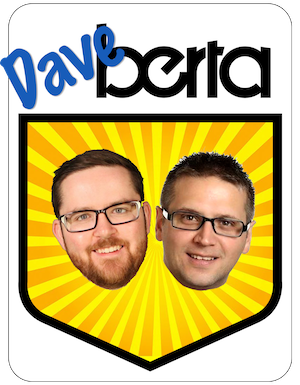 Maverick Dave Berta?, my foot. This hardly qualifies as maverick. Why stop at three parties? Danielle worked two and now “Sybil” Blakeman does three. Maybe the next trough seeker ought to just get the backing of everyone that is not PC. At least that way we would stop vote splitting.